The last post about the Shopkeeper Gal was incredibly, amazingly co-incidentally well timed. See, we'd had the 'you're too literal' conversation on Thursday morning during a workshop. Then we must have both pondered our sides. I went public on the blog. About five minutes later, Shopkeeper Gal sent me a picture by text - it was a card she had made and featured a chandelier. The caption was 'I can do it, but I don't really like it'. It was a lovely card, I would show it to you but I can't get it off my phone just now. (We won't talk about that part of iPhone ownership....I may need a day or two.) Anyway, I want you to know that she did a great job of this card, and the chandelier looked great - but she still doesn't really get why you'd want a card with a chandelier on. For me the point is: I obviously made an impression on her...she did try getting out of her comfort zone (scarily, very well, too)...and the other thing - she didn't half hurry home to check out what I'd said about her. Ahem. Score! 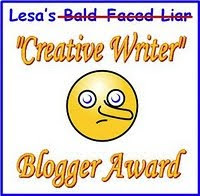 Oh look....an award for my written creativity, my self expression and raw honesty. Or is that a-gazing self obsession? Claire and Helen; thank you both for thinking of me, really the recognition of my 'creative writing' skills means more to me than the chocolate chip cupcake I'm currently scoffing. 2. Display the picture on your blog proudly. Ta Na. http://stampingbyh.blogspot.com/ of course then, is Helen. 4. Tell up to six outrageous lies about yourself, and at least one outrageous truth, or switch it around and tell six outrageous truths and one outrageous lie. - My sainted husband, at a gathering of friends who where inevitably talking about my hobby (because it's all about me) once suggested that scrapbook papers are 'probably, what, about 25 or 30 pence each?' I didn't react or betray any emotion; I didn't deny it or correct him. And I will not allow that conversation to come up again. Ever. - I am well known for having an incredible will power. Example: my stash 'turnover' is to be proud of - I use what I buy, and then I buy what I want to use next. - If I had any, I would totally believe my own publicity. - I 've done a couple of QVC gigs for the Crafthouse Press at the QE2 Conference Centre in London. Forget the crafting - you should see the loos. Seriously; awesome. - My daughter, exposed to my creative skill (yes, I call it a skill) for the last 16 years would not use an ink pad or stamp unless her life depended on it. She thinks I'd get all enthusiastic and excited and try to take over and make her do it my way. She's right, of course. - You know that phrase 'behind every great man is an even greater woman' - and loads of other derivations? Yeah? That's me and Tim Holtz that is. - Mostly it's my age you know, that makes me like this; I really and genuinely wish I'd known me when I was 18 - I could have warned me. 6. 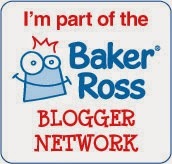 Post links to the seven blogs you nominate and let the owners of those blogs know. Elizabeth - conversational, interesting and oh my, an alterer that didn't run when she stumbled upon my non altered blogging! Betty - the bag lady, pop over - you'll find yourself reading the conversation as if you never left...and Betty is re-visiting her crafty passion and I can tell ya, it's interesting. Miss Dunnit - has an anime/manga/cosplay blog and despite the spelling (wince), and my lack of understanding of all the subjects, I think she writes incredibly well. But I would, wouldn't I.
Kathy - actually, I think she only blogs to make me jealous. If you haven't seen her stuff yet - hurry. Paige - tells it like it is, and is so utterly inspiring and so unable to procrastinate that it makes her a prolific crafter; takes my breath away. Kaz - another one - she logs on, posts a fabulous projects and then types about it as if creating it were just a simple matter of fact. Genius. Mountainear - we haven't met; as far as I know there's no paper crafting. So what! If you like good writing...check it. Me and the Shopkeeper Gal, I like to think we get on really well - hey, we're friends. I cannot encourage her to conduct any workshops in her own shop, despite the truly beautiful and precise cards that she makes to order or to showcase her products. So it's fair to say I'm not an influential friend. How do I know this? Because we have a difference of opinion about what looks OK or good on a card. It makes me laugh. Although probably I will never recover from the realisation that I have no influence over her. See, Shopkeeper Gal is a literal cardmaker. See the card here with the vines as a background - they disappear behind the purple square which is actually a pull forward pocket. This card made her teeth itch...she feels it's upside down for a start; - those vines are 'stems' and should be coming from the bottom of the card. And because they're stems, they should have flowers at the top of 'em. Not artfully cascading down over the pocket of the card as if they've fallen off the stems. I see her point. But I am unphased by it. And because I'm a grown up fat forty something, I am happy to disagree with her and think she's slightly nutty about it. Remember the lovely Chatsworth range from DO? All candelabras, standard lamps and chairs? She don't get that - why would you want a card with a chair on it? What does it say? See, I don't mind - if it's a nice image, I like it on a card...enough said, for me. A colleague demonstrator at an event once asked me why I had put a waste bin so high up on the on the card he was looking at. The card had a die cut decoupage image of a Grandma sitting in an armchair. I had cut a wider-at-the-top square from some text printed paper and added it to the card, top right somewhere. It wasn't a bin, it was the sentiment, and it added balance. But Finlay couldn't see that: because of the shape I'd used and how a waste bin could relate to the armchair scenario. See, that's literal. I rejoice in the differences we crafters have, no doubt. Next time I use those nice leafy stems (vines), I'm going to put them on the horizontal to freak out Shopkeeper Gal. Maybe she'll realise I find it funny. She's already sussed that my shallowness means that secretly I think I'm right. After all, I was right when I said I'd blog about it if she was going to be critical of my right-way-wrong-way-round card! I'm due in to do a workshop of sorts tomorrow...if she sacks me, I'll give away all of her card making secrets! Wow - week 51! If you're going to enter the WOYWWAC then you have a week to pull it out. Or off. I don't know. I'm so smug about being ready and now too busy to worry about the other much better ideas I've since had, that actually, I'm quite looking forward! Anyway, here's my desk at sundown last night, untouched by human hand this morning. It looks a mess as usual, but at least it's genuinely productive...I'd just finished two cards for a workshop and my next job is to do some checking and prepping for another workshop which involves using Miss Dunnit's '12 of 16' album as a sample; a great way to get it done! So that's what you see. And that's pretty much all I'm saying - keeping it brief is really helpful on a Wednesday! But look - it seems so much tidier from a different angle! I can barely remember what I had for breakfast by the end of each day. It does scare me, especially at my tender age - so I've chosen to ignore it. Some time ago, I treated myself to one of those 'press' type ironing gadget thingys. I quite like it. In as much as you can like a domestic gadget that you use repeatedly for a job you don't wanna do. There's no need to tell me that you don't iron and you have this trick or that trick - I have to, it's one my things. I look naturally untidy, so nicely pressed clothes at the start of the day is a good thing for me; it kinda gives me the confidence to step out. Anyway. I freecycled the ironing board as fast as you like once I'd got the hang of the press thingy. A teeny voice suggested I keep the iron - it's very difficult to do a nice dress shirt in the press, see. So I put the iron in the dead gadget cupboard with the box of baby clothes and the sombrero. I don't know how long I've had the press thingy - Miss Dunnit says at least 4 years. Good grief, and in all that time I haven't ironed a single dress shirt! So you're way ahead of me - in making this silly jacket for her upcoming Cosplay/Manga convention (at Excel London- who asked me that?) I did recall that all sewing type stuff is made so much easier if you iron as you go along; flattened and neatened seams and joins look so much less amateur (please note that I did not say 'more professional'). It isn't any wonder then that it took me longer to find the damn iron than it did to make the damn jacket. I looked in the dead gadget cupboard about 2 billion times - but it wasn't in there. Of course not. It was in the garage. Mr Dunnit had been using it as the heat source for a glue that needs 'curing'. I'm not gonna explain that, I'm still coming to terms with the fact that my life partner can let me think I'm losing my mind without batting so much as an eyelid. Really, I should ask if something I've put away isn't where I think it is - but I'm so often obliquely 'accused' of tidying things away that I couldn't bring myself to admit that I'd forgotten doing it. But if it's really four years, and if Mr Dunnit had moved it from the dead gadget cupboard, I was in the right really, huh! Good news...the part of my memory that harbours a grudge seems to be OK! Sadly, the sewing skills are just as amateur as I remember. Blue Sky Thinking - huh? If it was up to me, every one would have these words somewhere in their home. As you can see, I have them. Thanks to Nicky - you know her better as Minxy on The Altered Inker blog, you will have met her if you're a WOYWWer and if you haven't, I recommend a visit. My horrid photography belies the shimmery sparkly effect of this hanging - it has an ethereal quality and the painty finish on one side gives it dimension that you stand no chance of seeing until you visit. I realise you'll get around to that eventually, but meantime, take my word for it - it's beautiful. For no reason except that Minxy is generous and giving and just out of the blue, without bribe or threat, sent it to me. Thank you again gal, truly I love it. That and the silly phrase I heard at work today (the title up there) set me thinking though - what great or otherwise advice have you had? I've had and heard some fab 'one liners' that would make great LO titles. A friend recently credited me with telling her that she has to 'live a life worth scrap booking' which I believe wholeheartedly, but I can't really believe that I haven't heard that elsewhere. After all, it's quite profound and I think we've established that I'm as shallow as a puddle. There's a couple of rude ones that have cropped up in conversation and although they'd be safe in context on a scrapbook LO, I couldn't possibly discuss them here. Or how about song lyrics as titles - do you do that? Like most things, I can't stick to the short, title of a song, the parts I like are always about 4 lines! Bob Dylan: 'may your tune always be joyful and your song always be sung and may you stay forever young'....how fab would that be on a LO showing a pic of your Mum and Dad dancing in the kitchen? Come on - fish in your brain and share your faves with me.....I'll make a list and archive it for sharing. Of course, I'll use them indiscriminately and probably without paying royalties too. That's the Blue Sky Thinking for you - getting other people to come up with the goods. I think. Oh my, look at these beautiful, stunning, ballerina like flowers. Paper white peony, burst from the pointy buds I posted a picture of only a couple of weeks ago. Bliss. Please please don't let it rain too soon - it destroys them. For the first time in 15 years there is a vague hint of pink inside the flowers. Interesting because we (OK, Mr Dunnit) plonked a traditional tight pink flowered peony on top of this one when we moved in 15 years ago. The different leaves and stems meant we had no clue as to the nature of this plant - it still stuns us. The interesting thing is that the two plants have really become one and in about 5 weeks we'll have a pink display. Lucky, huh! I wonder if the pink flowers will have a hint of white about them this year. This late afternoon sunshine is the best thing about today. It's been warm but very grey and dull and has totally matched my mood; I think I must be tired - the odd hours that I've done as a returner to work have thrown me and I can't seem to catch up. Pathetic huh! I've been at home more than out today and still don't seem to have got much done, and I am a girl (by gender, if not age) that likes to achieve something. I may be a skilled procrastinator, but it doesn't matter if the things that get ticked off the list are months overdue, huh! Anyway, enough whingeing; I'm sure my stamina will be restored and a new routine will be a good thing. Meanwhile, I'm off to sit in that elusive sun with a cup of tea. No point starting anything else now! There's a problem in cyberspace that has caused poor old Mr Linky to wax and wane - he appears to some and not to others. I haven't dismantled him, honest! It's a problem on other blogs too, so be patient; somewhere there's a very skilled geek working on a fix. I'm sure. Meanwhile - ohemgee, what a fab WOYWW - I've only just finished visiting. And for those in a flat spin - the Anniversary will be Week 52, which is Wednesday June 2nd. Back later with a 'proper' post. I can't use 'normal', for that would be a fib. At last some sunshine! Again, taken last evening - but nothing has changed - except in about 5 minutes the glass will become a mug full of coffee. Funny that at bedtime I scout around and collect empties and rubbish and there's always one I miss! Anyway, am meant to be keeping this short. On my desk, flowers from the punch, all sitting patiently waiting for the blue flocked centres to dry. A pack of BG Kioshi, yum. My new Scor-Pal (Metric!). I'm in love with it, actually. A notebook - ingredient lists for workshop cards. And if you come to any of my workshops, take note that there's a brayer on my desk too! And, a reassuring (if slightly difficult to see) return of the glass jar of Primas! Thanks all for your comments about my post on Monday; I'm not a complete sewing novice, I must admit, so it's painful but not impossible! The post certainly wasn't a whinge about Miss Dunnit - she IS helping and she IS fully understanding of my sacrifice (!). After all, if I'm at home and she's at College and there's only one sewing machine between us.......yeah, you get it. Maternal guilt! Now, show us what you've been up to on that desk, tray, table, worktop, floor of yours - you don't have to be paper crafting and you don't have to be a member - this is for fun. Upload a picture to your blog, link it here and we'll trot around for a visit. If you visit, please leave a comment; if you can't visit, don't sweat. Visit some other day, or visit a different handful from last week - if it doesn't work for you, it's not fun! 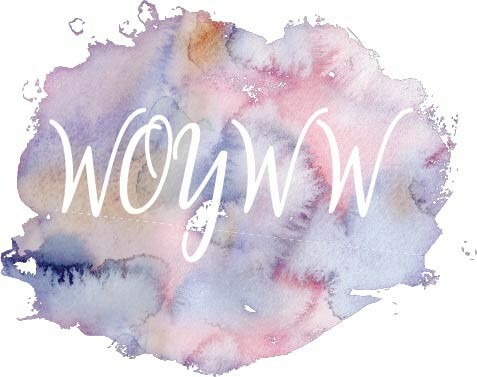 If you're gonna join us on week 52, you may want to consider the WOYWWAC - What's On Your Workdesk Anniversary Challenge. It's terribly easy. Make something lovely to adorn your workspace....it doesn't have to sit on your desk........it can be useful or decorative, it can be anything. 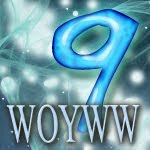 But to be eligible for the Anniversary Challenge, it must somehow include the WOYWW acronym. Easy. Oh and erm....I'VE FINISHED MINE!!! Here at Chez Dunnit, our number one rule - a straightforward and easy-to-remember-rule is: 'It's all about ME'. No really, I found a life partner who agreed with my philosophy and strives - yes, strives, t o make me happy. Because if I'm happy, so is everyone around me. Oh yeah. This weekend, I found myself searching for pinking shears, threading a sewing machine and wrestling with school-learned terms such as 'baste' and 'welt' and looking over my shoulder to make sure the purists couldn't see me using iron-on interfacing (gasp). All this and, regretfully, a deal more, in aid of Miss Dunnit's big hobby. I am making a Manga costume for her to wear to a convention in a fortnight. Yep. A fortnight. A tailored jacket and trousers aside, there are other accessories required. I don't really want to talk about it. The deadline certainly pushes me on - I know every time she steps into the house and sees that I'm not sitting at the machine, she's a bit disappointed. So am I to be honest, I really want to get it off my list! But I'm a part time working mother with enormous domestic responsibilities - why, just this morning I had to dust, clean and hoover around the East Wing! OK OK, I know. But you're starting to see my point aren't you - my epiphany if you like. It has occurred to me that the last 16 years and 10 months have seen a gradual erosion of the number 1 rule in this house. Mr Dunnit seems to have neglected to notice and I apparently am an accomplice. Luckily I've recognised the problem and just as soon as she leaves home - I believe her deadline is 2050 - I'll be changing the locks and having things get back to my kinda normal pretty fast, I can tell you. I am though totally with that Linda who says the inkpads are versatile and useful - her fab article im March Craft Stamper about the versatility of each colour is spot on. Maybe it's actually her fault...maybe I'm too scared to use them because I can't do what she does. Maybe though, that's because I don't have 38 dozen applicators...oh my gosh, I'm starting to erm, 'alter' my thinking! Yesterday I asked about your starting off methods. Kirsty explained more of her planning in her blog post here - my word this kicked me up a bit..it would be so easy to be nearly ready for a crop if I could get into her habit. Imitation being the sincerest form of flattery and all, I intend to try this method - thank you Kirsty for sharing and inspiring. Ask me after the next crop. Really. If you found the strength to read the post that accompanied WOYWW on Wednesday (thank you), you're already aware that I was critical of DO Crafts' stamp quality. Partly I whinged that my contact attempt was being ignored - I want to retract that: I made a mistake with my email and it took an age to bounce back to me. When I finally sussed my mistake, I had a polite response from DO Crafts on the same day, and indeed, we are still 'engaged'. I cannot say that I'm any less fed up with the stamps, but I am really heartened by the listening. Am also kinda glad that it's not just me and my hormones that find it all so disappointing; some of your comments made really interesting reading. Anyway, enough said; I think balance is restored? And this long legged bird is from Hero Arts, so is the branch. The greeting dot from Personal Impressions (by Paula Pascal) and the embossing folder from Cuttlebug's launch range - seems like eons ago! Have a lovely weekend. We have an agenda that starts with gardening....so I'm hoping for any excuse. Oh and PS - Flea Market at Kraft Crazy on Sunday: it's a big old sale of second hand stamps and unused craft items...01980 844010 for details, the Shopkeeper Gal knows more than me, of course! After this morning's workshop, me, The Colonial and Shopkeeper Gal were admiring and critiquing our brand new unused, indeed, unopened Scor-Pal. I swear that girl times the deliveries for when I'm at my most vulnerable. When I'm actually working and therefore feel like I have a right to treat myself! Whilst seven of us had been busy making the Bird cards as promised on the workshop schedule, Shopkeeper Gal was making a commissioned card that featured pink, a really sweet image of a bear with a huge bouquet and some erm, more pink. It was stamped, cut out from a circle die, mounted onto a pink panel and was being threatened with floral embellishment. It was still just a panel though. When asked, she cheerfully admitted that she hadn't yet thought about the actual card that it would finally be mounted to. The Colonial was quite surprised and said that she starts with the card in mind. I do not. I had to think about it though. I work completely the other way around - I start with the image, then the colour, then the paper and mounts; then the card and finally the embellishments, if any. For cards. In scrap booking, I work almost back to front - I usually start with a photo, but very often it's a piece of paper that makes me itch to make a layout...some patterns are just begging to be used! And if I've picked the pattern, I usually follow that with embellishments and details before I've even got the 'sketch' in my head. Weird huh? I've noticed over a couple of WOYWW days that quite a few people do draw together their ingredients before they so much as fold a card; this is admirable to me; I'm completely incapable of deciding in advance what I'll need. Which certainly explains why I have to use a removal van to go to a crop. So, is it me? Am I , after all these years, approaching it wrong? What do you do - and would changing it up a bit make things easier or harder..what do you do - where do you start? The photos are not relevant - a LO using BG and a lovely 3d title that was part of a gift from a friend. Paige was foolish enough to say I don't post enough of my LOs, so here's the other one! And whoa, is my lounge carpet really that colour? I hope not! Well, truth be told, I took this photo yesterday as the so called sun flooded in at about 5 o,clock. The towel on the washing line just proves that I do other things. Even I was being driven to distraction by the mess on my desk! I had been gardening (blurgh) and came in to have a cuppa and get warm (blurgh) and was very struck by the need to tidy! So I did, and started to make sense of a couple things that have been hanging round. Then the sun really did break through. So instead of going back into the garden, I sat at my desk in it's full glare and added some more erm, stuff, to my WOYWWAC project. Now, this morning, I'm ready to roll...see Julia's tidied if not tidy desk: There's still some coloured in images waiting to be turned into something - turns out I can't do mass production too well either and I'm determined to use scraps with them, so that job's been put off too. On the bottom left is a new stencil from Do Crafts Henbury Lane series. I made the mistake of buying a couple of the stamps too. No wonder they didn't feature stamped projects in the magazine article about this range. Truly the stamps are terrible, they've been produced with no thought for the finished image. The finished images are almost impossible to decipher, too solid and too pitted in equal measure. Even at £3.99 and £5.99, don't waste your money folks. And if you have any connection with DO - design team, work for them - whatever, please tell 'em. My attempts are not getting through. Anyway, rant over! Now, show us what you've been up to on that desk, tray, table, worktop, floor of yours - you don't have to be paper crafting and you don't have to be a member - this is for fun. Upload a picture to your blog, link it here and we'll trot around for a visit. Please be patient - there are loads of us involved now and lots of people simply cannot get around to every one's blog. No matter - I'm sure that randomly selecting a handful or more from the list is a perfect way to enjoy WOYWW; leave a comment on those few - 50% of something is always better than 100% of nothing! Leave a question in the comments section - no such thing as a daft one - if you don't know the answer, it's always a good question! Oh look, another tale of my slovenly behaviour; imagine how smug you'll feel by the end of this post! Well, if my story hasn't set your teeth on edge or made you run as far away as your legs can carry you, that is. Therefore, a preface: this with a warning: SLIPPER LADY - LOOK AWAY NOW! Here's a lovely picture of a portion of my stamp shelves. This section is loosely deemed the 'alphabet section' and if it's not a foam set, and still in a useable box, then this is where it will live. Yes I have more than a handful, and yes, I use them a lot, and I love them. But and oh my, here's a revelation, I don't look after them properly. This is not a confession, it's a conversation piece - just so you know! As you may know, I conduct the odd workshop (and if you didn't know, where've you been? Everyone else is bored rigid by now). And as you realise, I use stamps a lot, and I am in the habit of making cards that have messages on the front. So alphabet stamps are a must. On the whole though, they aren't popular - concentration, spelling, neatness, correct pressure - all skills required to stamp in a staight-ish line and to increase the pressure, it helps to spell the message correctly. I completely get all of that. What I don't have a problem with is the way I use and re-store them - once cleaned, they go back in their boxes. And as you can see, that doesn't necessarily mean in a particular order. Alphabetical, any way. Now this is probably a slightly peculiar thing, but it really doesn't bother me. Slipper Lady, on the other hand, gets an eye twitch and has to put them in alphabetical order before she can use them. I understand. I think it's hilarious, but I understand! I've taken to trying to relieve the OCD problem by arriving at the workshop with just the letter stamps needed....but to be honest, that's dangerous..mostly these are small stamps and they can go astray really easily. Check yourself though - does this make you twitch, or do you get that I'm just storing them in a box, like all my other stamps...they are loosely categorised on their shelves but certainly in no apparent order. I;m probably not going to change, it's too late, I'm too old, blah blah, but it is a matter of huge interest to me. Remember, I have an obsessive compulsion to lift foam pads from their sheets in a particular order and the thought of an ink pad without a lid for too long makes me panic....so how come I don't need alphabetical stamp order? b ns aiy urts. (I do not know). Help, any one - for me or the Slipper Lady, whichever is easier! Recognise this fabulous artwork? Yep it's Linda's. I whinged at her for so long about wanting it that she eventually caved in and very graciously gave it to me. How lovely it is, and how generous of her. I may have changed the note - apparently she has a 'thing' to go to that she'd be really miffed to miss. Thanks Linda, really. Oh, just want to say about the flip flops (see yesterday) - I used full strength, generous blobs of PVA glue. Dries clear and it's flexible when dry see, so the THEORY is that the buttons won't ping off in walking mode! I thought it appropriate to show the pegs, given today's political quagmire. I wanna tell you about Miss Dunnit. She's a doing A Levels, one of them is Politics; I can't tell you how much I enjoyed this election through her eyes. We stayed up late; she wrote down the results of the exit poll and analysed and forecast and talked about the electoral process with enthusiasm, greater understanding than we have ever had, and excitement at being present at such a historical time. You realise that we are proud of her; how much for the first time, we 'got' the excitement and the potential of the situation through her eyes. Her generation have an immense amount of work to do, no doubt, but believe me, they are so up for it. I will never again hide behind the 'not very experienced' tag when I consider fresh faced politicians - I learned a lot last night. There are world and nationally politically savvy teenagers out there, mostly they know what needs to be done and mostly they have a hunger to get it done. They will not tolerate bigotry, racism, lies, misuse of public funds and they can spot a double standard before it even peeps around the corner. So, Mr Brown, Mr Cameron, Mr Clegg - get the collective act together, the will of the nation is that you three sort it out, preferably in a bi-partisan manner. And watch out, there is an informed and intelligent generation right behind you, waiting to hang you out to dry. Don't worry everyone; last night I got a glimpse of the future; it might be very tough but in our dotage, we'll be in good hands. Viva today's teenager! Yesterday was a biggy! How thrilling to see so many desks and to find European friends joining in - I know we all say it - but ain't this blogging thing great. 1. No Linda. You can send as many pairs of flip flops as you like, I probably won't decorate them. Neither, probably, will I return them. I'm just too lazy - or busy, you choose! 2. No. I didn't stand on a chair to take my workdesk photo - honest. Those of you that know me personally will attest to my amazingly long and graceful stature that allows my arms to become elastic and erm, long. 3. Hey Kathy - no, they aren't for you. Anything that makes your toes curl is a bad thing! 4. Peel Offs - yeah, I use 'em; mostly teeny words from Woodware and Francise Read's collections. Oh, and when people want impossible words on a card and I don't have the stamp. And when I want to use them for frivolous, speedy reasons. 5. Am so sorry Kaz, the jar of Primas might as well be glued shut, I haven't opened it for almost as long as it's been in the way on my desk! 6. Kathryn - we did break the 100 mark this week as you can see - to be honest, I'm surprised when even one person bothers to WOYWW, so it's all a bit of a thrill really! 7. Betty - will you write me a reference please? I have never, ever, in my life been described as hyper-active. It's like giving me a medal. But I can't come and collect it because, well, I'm busy sitting down. 8. Angie - the espadrilles are in the bottom at the back of the cupboard under the stairs. In a box marked 'china' from when you moved in. With my DD's baby clothes. True. 9. Yes Annette, way too much information...am reassured however, that your computer technician doesn't suffer his shiny armour without underpants....chafing, ouch. 10. Not a question from Kirsty, but she reminds me to say: It doesn't matter if you don't visit all the desks, and if you do and it takes a week, it doesn't matter, it's just some fun...but if you do swing by a desk on your travels, leave a comment! 11. No, I didn't say I was altering the flip flops...your minds do not need to boggle. I said I'd stuck buttons on them. And now you've read this far, and been besieged by pictures of them, it's safe to assume that my chum was happy with them, thank goodness! A mess is what! I started cutting something out, then I decided to mount some pyrimage cards I'd made up from the Crafthouse Press kit and then I was digging through my brad collection for something for Miss Dunnit to use and then I finished sticking the buttons onto the flip flops and it all just adds to the sense of mess and clutter. Still, at least it's changed from last week - there were moments when I feared it wouldn't have! Centre stage is a sheet of Christmas peel offs - it has a few swirl patterns around the text and I was picking those off to go on a non-Christmas card..no idea why that isn't in the shot! The flip flops are a gift for a friend, I don't think she reads here, so it's OK. And she'll be given them tonight, so not long for a badly kept secret! Paige and I saw the idea in Monsoon or Accessorise last month; I'll show them in 'full' when they've been given. You can't see, and not deliberately so I must say - purely accidentally......my WOYWWAC piece is underway and the initials are actually under those boxes on the left..waiting to be stuck on or drawn around or something. Dunno yet! Otherwise it's all the usual suspects...papers at top right that I want to try and use, stamps waiting to be returned to Shopkeeper Gal are at top centre, the card holder is unemployed - leaning against the back edge of my desk - because apparently there's no room! Come on then, show us your work surface - doesn't have to be a desk and certainly doesn't have to be paper crafting, we just would very much like to see what you're up to today. Post a pic on your blog, link here and we'll visit. It takes a while to visit; please be patient and stay kind - repay the visits - this is all about the community we got going on here people. Indeed if you're thinking about joining in, you may be pleased to know that there aren't any joining fees or rules - just join in when you can, and when you can't, we'll miss you. You can do the Anniversary Challenge whether you've been WOYWWing for 47 weeks or 1 week, s'not important! What's WOYWWAC? Check this post. I hadn't found my cropping mojo and in view of my promise to join Jan and sell a few cards on her stall at the month's end, I thought that Saturday's Crop would be a good time to start! It also gave me a chance to play, in daylight, with the neglected Copics. I know there's always a story - but this one is relevant. Truly! I don't, generally make cards for anything but workshops these days. Everything stamp related that I buy is with an eye on the bigger picture - if I use this, does/can the shop where I workshop stock it, if the workshopeers want to buy it? Can it be bought in quantity? Can I afford to let it be used in a workshop? If necessary, can I supply it in multiples so that sharing between 8 or more people is kept to a minimum? Now, to be honest, the Copics fall outside lots of my workshop criteria. They were a spontaneous purchase - I was seduced (OK, suckered) by the box full of pretty colours and the potential for all the beautiful things I could make with them. Yeah, where was that inner 'sophisticated consumer' on that day, huh! Despite a generous discount from Shopkeeper Gal, they cost enough to even now make (even) me wince. And I didn't have a clue about them. So I took a lesson from Scrap Lady Ally who also runs workshops at Kraft Crazy. And decided that really, they weren't practical to use in workshops as a colouring tool unless it was a specific Copic workshop. And that's Acrap Lady Ally's department anyway. To further bury the idea - there would be multiples of some colours required. Not going there, thought I. And to be honest, at the price, not sure I want everyone using my Copics for their first time attempts. The result of this logic ? I have a set of largely unused colouring pens! I've alluded recently to the fact that although I've got 72 (seventy-two, for goodness' sake), they aren't the ideal colour range. And they aren't. In order to follow Copic's recommendations and use numbers two or three apart for blending, I would definitely need to buy more.....this set has numbers in the same colour group, but up to 30 shades apart. Feeling a tad ripped off? Yah. But also feeling a tad foolish? Hugely, actually. Wouldn't it have been grand if, instead of being seduced by the look of the things, I'd done some research, discovered that one set is a bit lacking and actually taken the time to choose my own colours from the for-sale-individually-stand? Yeah it would. And I won't make that mistake again. I don't do a lot of colouring in, although I do like it. I always feel that sitting at my work desk colouring could be construed as a huge waste of time - and y'all know how busy I like you to think I am. Guilt, of course. My preferred medium is Pearl-Ex or Twinkling H2Os when it comes to sloshing colour about for good effect. So I was incredibly surprised to have not only enjoyed my handful of hours in the company of my friends and my Copics, and equally surprised to find myself digging out the colour chart - Scrap Lady Ally gave us one at the class to fill in, and of course I didn't. But now I have, and now I know pretty much which new colours I need and which I'd like. In that order of course! Because, despite the 'fool me once' story, I really liked the Copics and will probably use them more. Probably. Meanwhile, after I've caught up with the shocking fact that my family have robbed me of a day by being at home and making things untidy and creating laundry, I have to find some faster way to colour so that the cards I make for Jan's stall aren't quite as labour intensive! In the unlikely event of my ever needing to be told to slow down, prescribe me some Copic colouring! The thing I like about May is all the potential that you see around you - nature's got it all together, the little ducks and birds have arrived and are doing the learning thing and May provides for them in abundance. Sunshine and showers. We, apparently awoken from dark days and long nights suddenly turn into market gardeners and get out onto the land. In my case, to cut edges and keep tidy. I am not a creative gardener. It is a month full of promise in my mind -good or bad, you get a taste of weather to come. Last nights terrific downpour has yielded a lovely start to May this morning - and look at my beautiful peony - a mass of buds and that can only mean potential fabulousness - every year this plant astonisehd me. I genuinely yearn for a bit more of an outdoorsy lifestyle and make an effort to enjoy slower evenings. It doesn't last, sadly. 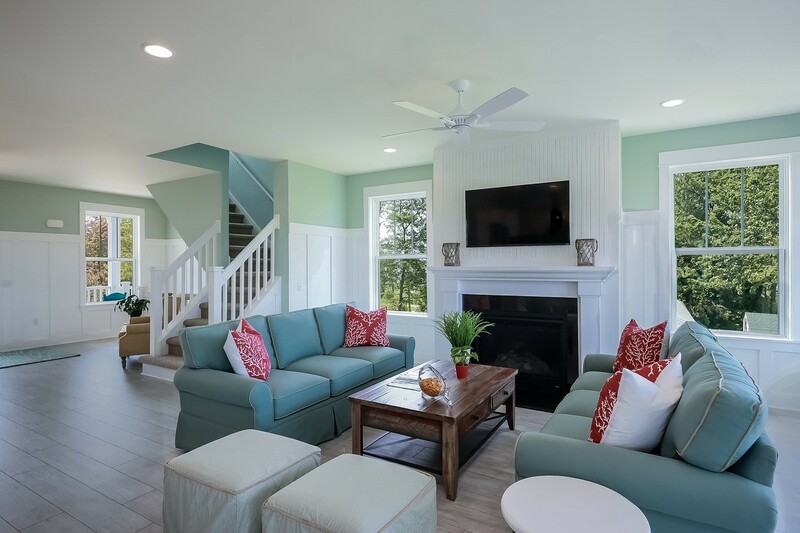 Until the day we manage to install a tv on the patio, I'm not sure my lovelies will ever want to spend the evening at home outside surounded my candles and bugs. Only on holiday, in a country where the language is spoken too fast for comprehension will the tv be ignored. May is a busy month for this household, exams and real life also start to emerge for one of us. (There is the danger of my return to work this month. Ouch.) On a brighter note though - the bloody dawn chorus will subside. Ah, welcome, May!